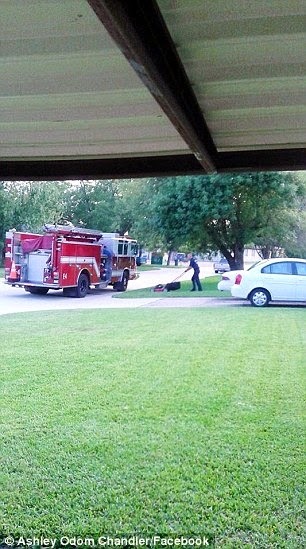 In a huge act of kindness, the firefighters of Bayton, Texas finished mowing the lawn for a wife whose husband had collapsed and died of a heart attack half way through the job. 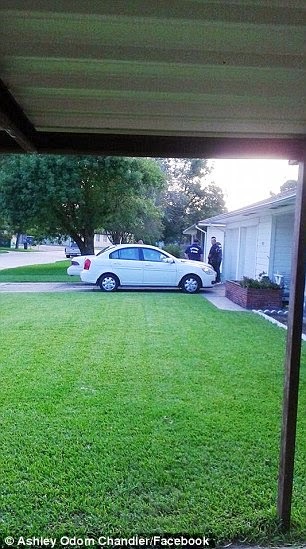 On Tuesday, paramedics responded to a 911 call for a man who fell ill while doing the chore. However, after they had taken the man to hospital firefighters returned and began to mow the lawn and when they had finished they put the lawnmower away and locked up the garage. They also left a not behind to comfort the man's wife. 'We felt bad that your husband didn't get to finish the yard,' the firefighters said and added they would help in the future. 'We are very sorry that your husband became ill, we hope he has a speedy recovery,' they said. Other members of the Bayton community praised the firefighters. 'All of our City employees are proud to serve the citizens of Baytown, but this is truly special,' the city said in a statement posted on Facebook.